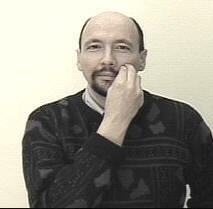 Touch a "squished O-hand" to your cheek on one side of your nose and then the other. 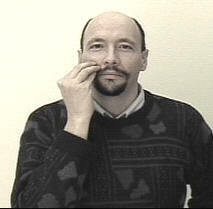 I do this sign starting on my right side and moving it to my left. But it doesn't matter if you start on the left and move it to the right. It means the same thing and both ways are correct.